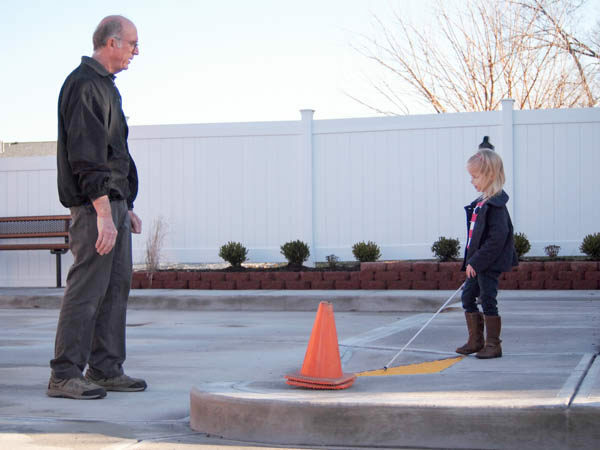 VIPS developed the Orientation and Mobility (O&M) Program because young children with blindness/low vision in Kentucky and Indiana need instructional assistance on how to move through their environment safely and at a young age. VIPS employs Certified Orientation and Mobility Specialists (COMS) who are trained professionals helping VIPS children know where they are in space and how to safely get to where they want to go through the use of a pre-cane device (alternative mobility devices built from PVC pipe and connectors or hula hoops) or a long white cane. 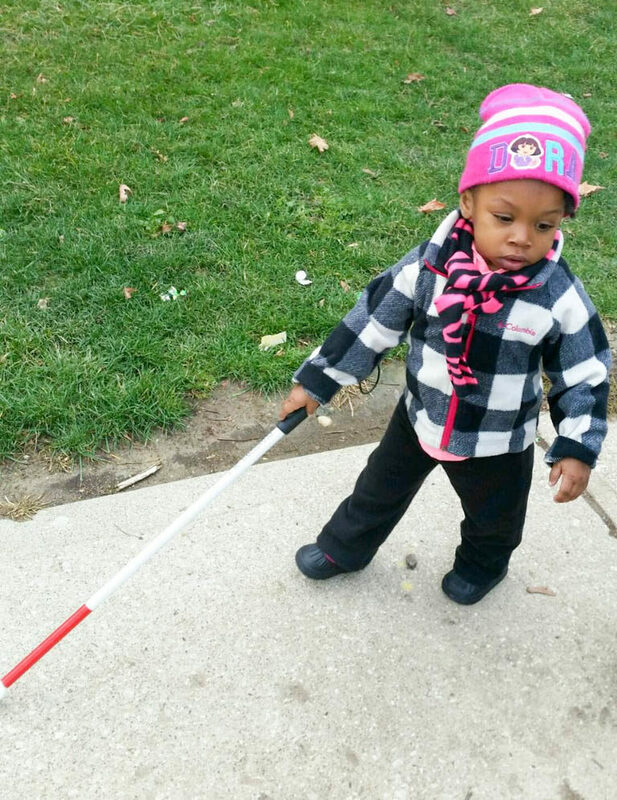 Since O&M skills begin to develop during infancy with basic body awareness and movement, it is important for a child with blindness/low vision to understand how to safely navigate their home environment and other frequented locations such as the yard, daycare or playground. A COMS will help train the parent so they can teach their child basic O&M skills long after a VIPS home visit is over. VIPS is one of the only agencies in Kentucky and Indiana that provides this type of intervention during the toddler years setting these children on a path toward safe independent travel for years to come. The UAW-Ford Mobility City at VIPS Louisville is a 38-by-37 concrete area behind VIPS that simulates a streetscape, including; curbs, a fire hydrant, storefront, sewer grate, manhole cover, parking meter, and audible crosswalk sign. The Mobility City will be used by VIPS to teach visually impaired preschoolers the skills they need to learn to cross and interact with busy streets.